Classic. This stuff happens. Especially in the video training world. When I ran Tekpub it would take (typically) a day or two (sometimes just a few hours) for the torrents to hit. It’s a price of doing business. Piracy happens. But I had never seen a business actually profiting from piracy. At least not this blatantly anyway. Sure Youtube makes money off of copyrighted material and eBay and Craigslist sell stolen stuff. This is a bit different. We’re the world’s online learning marketplace, where 9 million+ students are taking courses in everything from programming to yoga to photography–and much, much more. Each of our 35,000+ courses is taught by an expert instructor, and every course is available on-demand, so students can learn at their own pace, on their own time, and on any device. It would seem Udemy wants to stand behind their product, until they get in trouble, which I think is disingenous. 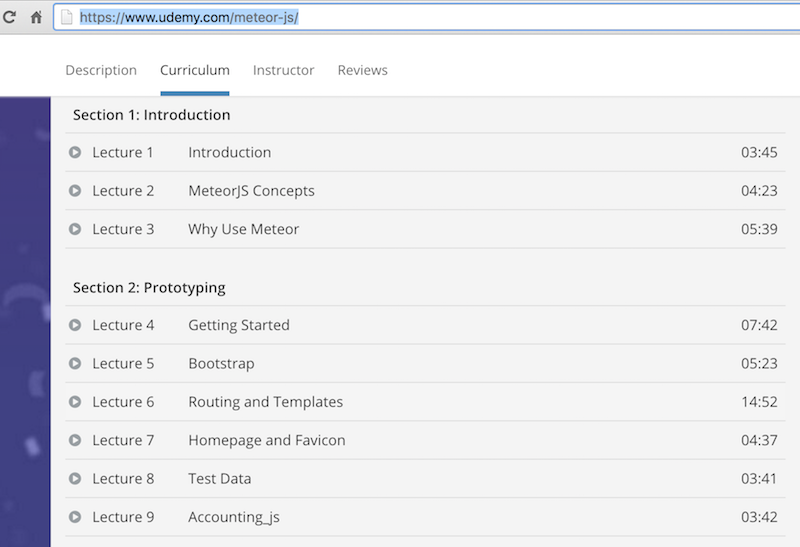 Anyway, after Troy mentioned Udemy I wondered: is any of my stuff up there? 993 “students” had enrolled in this course. The course I made for Pluralsight that they own the copyright to. I began to wonder what type of vetting my Little Pirate went through — what type of review process did his video go through? Even Youtube will scan your uploads for matching music — did anyone watch this video? In some of the videos (as with Troy’s) the video is cropped to remove the watermark. This pushes content outside the edges of the video and is (typically) a dead giveaway. I only dug through my video a little bit but I did see the Pluralsight logo watermarked there. That took me 30 seconds. My voice is clearly not the voice in the introduction. Same with Troy’s. We do rely on people submitting copyright infringement claims. The good news is, the good actors in the Udemy system are much greater than the bad. On average, over 15,000 courses are uploaded to Udemy per year. So far in 2015, we have received 125 DMCA notifications as well as 45 “Hey, this looks weird maybe you should look into this,” notifications. Our copyright team has looked into every one of these complaints. That’s… a lot, and just for 2015! To me the number is likely a lot higher — the only way that pirated authors know their stuff is in the library is if they actively look for it. The titles and descriptions are typically changed, as are the graphics identifying the course (the things you would search on)— so you basically have to stumble onto it, or someone needs to tip you off (as with Troy’s case). I can’t imagine this happens that often. This is where things get very, very murky. I’m not a lawyer and I’m not going to dive into DMCA stuff because it will cause all kinds of arguments and I could easily be wrong. That’s my read anyway. Go have a read for yourself if you like. If Udemy reviews their content, it could be argued they knew of a copyright problem (especially if there’s a watermark). Seems prudent then not to review the content if it can be proven later on that you saw something. But the money — that’s where things get interesting a bit murky. When people have complained (like Troy and Jeffrey above), Udemy insists that no money changed hands and only coupons were used. Many of you have asked about what happened to the money received from Troy’s course. There was none. As the fraudulent instructor had created coupon codes to allow students free access to the course, no money was exchanged in this process. That’s a lot of coupons, and really convenient for Udemy as they could argue there’s no financial benefit; thus keeping them in Safe Harbor. The thing about this that doesn’t make sense to me is this: why would someone pirate a course, put it on Udemy, and then give it away? Why not make some money? If you don’t care about that then why not Youtube? If you want to give it to your buddies, just pop it in Dropbox. What is it about Udemy that is attracting these video pirates? It seems obvious that if they’re not “Robin Hooding” the videos, they’re making money somehow. With Pluralsight (and many other educational companies) you have to go through some rigorous reviews to avoid problems like this. We have a three-step review (Peer, A/V, Tech) that catches even the smallest things (I was asked to remove a slide showing avatars from StackOverflow once). This would be a reasonable attempt, and it’s all I ask. As I said above, I’ve edited this post heavily because it’s getting a lot of attention and I do believe that Udemy is trying to do good things. I think good people work there, but I think maybe their policies are making them look silly right now. Author of The Imposter’s Handbook, founder of bigmachine.io, Cofounder of tekpub.com, creator of This Developer's Life, creator of lots of open source stuff.